Ofcom has announced that it will delay its decision over whether to grant Everything Everywhere early permission to start providing a 4G network in the UK. Back in February we reported that Everything Everywhere, a joint venture between UK mobile networks T-Mobile and Orange, was planning to launch its UK 4G network ahead of the other operators at the end of this year, after putting a proposal forward to Ofcom. Unsurprisingly the competition was not best pleased, with Vodafone and then O2 both publicly kicking up a fuss. This was followed by David Dyson, CEO of Three, voicing his concerns about the plans at the Future of Mobile Westminster eForum earlier this week. Speaking at the eForum Dyson said: "Speaking as a consumer, my clear request to Ofcom is for them to reconsider their technical analysis and position on low frequency spectrum, and re-conclude on a solution that more closely follows every other regulator in Europe. "In my opinion as the CEO of a mobile operator, a conclusion to the contrary would be irrational, questionable and unnecessarily risks future competition in the UK mobile market." 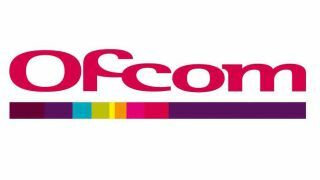 Ofcom was due to make its decision on the matter on April 17, but it has now pushed this date back to May 8 after stakeholders requested more time to respond. It's still unclear whether we'll see 4G before the end of 2012 in the UK, or if we will have to wait until 2013 for the super fast network to hit our shores.